Living room covers, live cuts, in-studio sessions & more! By its very nature, the cover celebrates iteration over song. And our Year’s Best Coverfolk Videos collection was originally envisioned as a way to acknowledge that, by celebrating in their “native medium” those performances which truly lose something essential when what we see is separated out from what we hear – an approach which favors live and in-studio performances over produced videographic content, and generally eschews the promotional post-recording “music video”. How we celebrate this specific source and its coverfolk has come in and out of fashion here at Cover Lay Down, growing from a single category in our Year’s Best Coverfolk Albums features as recently as 2013 to a two-parter, with separate features for our top Coverfolk Video Singles and The best cover sessions, sets, and series, in 2015. This year, any attempt to commodify just “the native ones” is further complicated by the facts that a) we’re much later than usual, and b) despite previous-year concern that stripping the visuals from these multimedia texts potentially undermines their in-the-moment intent, we did it several times this year, most often in service to themed features where the startling-yet-intimate eye-candy atmosphere of a video might interrupt or even overwhelm the tonal focus of the writing itself. In turn, although we tried to stick to those which stood on their own as audio-only, our trend towards flattening videos into Mp3s seems driven by a prioritization of the personal over the critical here on the blog as life grows ever more complicated, and what was once a twice weekly behemoth has become a less frequent but – we hope – in many ways a more deep ethnographic exploration of the ways in which the folkways influences both artists, and us. But this, too, is not so much a problem as an artifact of what we do, exactly: to live as a coverblogger is, after all, to embody the give-and-take ownership between artist and listener, both on a mass scale and on a very personal one. Call it an artifact of context over convenience, then. Although a few performances we originally discovered on video (including great cuts from YouTube-to-TV stars Holly Henry and Janet Devlin, frequent-flyer and indie-slash-electrofolk genre-crosser Nataly Dawn, a lovely series of 10 covers of Canadian artists presented in honor of Canada’s 150th anniversary by Bailey Pelkman, and a wonderful Outkast cover from vocal popgroup Pentatonix’ departed bass-man, all of whom will appear in our Best Singles Mix) do in the end stand up just fine as audio-only cuts, we still believe that, in the ideal sense, the very design of at least some subsection of the vast array of ‘tube-sourced recordings that populate the sharing sites beg to be experienced in their native medium. For now, anyway, and for this year. And so – while we finish curating our Best Coverfolk Singles Mixtape of 2017 (which we intend to release soon! ), and wait for the last guests to wake up, eat breakfast, and depart from for our annual early-bird New Years party – Cover Lay Down proudly presents our very subjective favorite videographic performances of 2017, an amalgamated mix of 13 favorite singles and coverset selections. Enjoy, and Happy New Year! Kina Grannis is welcome and well-celebrated here on Cover Lay Down; she was one of the very first YouTube stars, and one of our first YouTube discoveries. But Grannis has been on fire this year, releasing a mix of sparklingly well-produced single-shot video covers that trend towards the polar ends of coverage, the undone and the redone: this year’s gems include stripped-down recasts of rap and pop tracks such as Coolio’s Gangsta’s Paradise, Jimmy Eat World’s In The Middle, and Khalid’s Young Dumb & Broke, and softer folk and indie sources such as Bob Dylan (Blowin’ In The Wind), Etta James (At Last), and Sting (Fields of Gold), which, although closer in tenderness to the originals, nonetheless leave us breathless. Here, in her final cover of the year, she takes on our favorite Nickel Creek song, joyfully and with eyes half-closed, as always – and we’re glad, indeed, that she knows it, and has the chops to do it so well. The thirteen coversongs that comprised Passenger‘s Sunday Night Sessions – a set of video occasionals, with takes on Van Morrison, The Rolling Stones, Tracy Chapman, Bill Withers, Don McLean, Joy Division and more, recorded and filmed on location as the artist and his band toured the world – comprise a would-be hands-down favorite this year in our annual look at the single-artist cover series. The songs have since been recast and released as a ten-track streaming-only covers album, and it was mighty tempting, indeed, to include the album in our Best Coverfolk Albums rundown earlier this week – but the site-specific energy of these covers are so potent an addition to their musicality, in the end, we saved them for fuller feature here. The Light in Demos is a pensive and deeply personal acoustic video project after our own heart, produced, written, directed, recorded, shot and edited entirely by Swedish artist Saras Per Kristian Matsson, also known as The Tallest Man on Earth. Eight songs in, the set includes six reworked and unfinished originals which bring new life and resonance to the growing search and songbook of one of our favorite musical explorers, and two covers: A Nick Drake familiarity, and this, “the best song in the world”, performed barefoot and with ringing reverb that brings a layer of stillness and eternity to both song and setting. 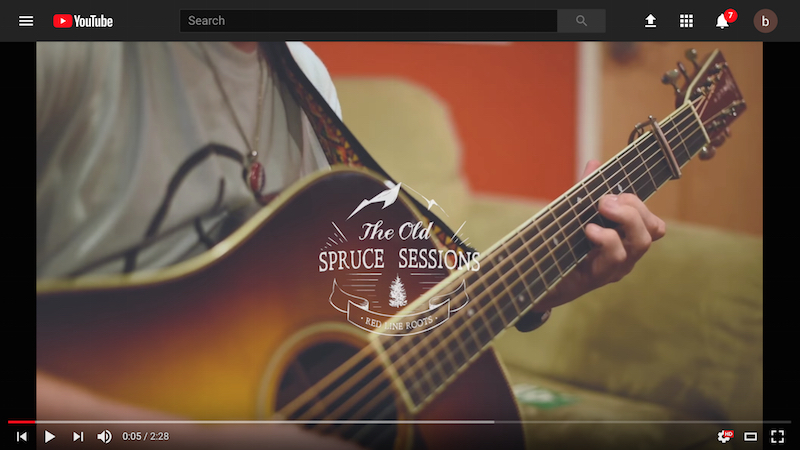 Announced just last week as recipients of one of Club Passim’s newest Iguana Music Fund grant recipients, Boston-based production-house Red Line Roots’ Old Spruce Sessions are recorded largely in found spaces, in off-stage moments borrowed from touring artists. Unlike their previously-celebrated Locals Cover Locals collections, a Bandcamp-sourced product chock full of predominantly singer-songwriter and small folk duo-and-trio performances, their video series is heavy on the earthy and organic, chock full of bluegrass and old-timey stuff; lo-fi delights worth celebration include a multitude of up-and-coming artists’ originals, Billy Strings’ backstage take on Cocaine Blues, and two Beatles covers: a gentle take on Norwegian Wood filmed in the attic of a rural Vermont town hall, and this tense, terrific wonder from deconstructed bluegrass quartet Twisted Pine, recorded in the fields of this year’s Green River Festival. We’ve shared versions of this cover before. And we’ve loved video of it, too, such as this 2015 Kitchen Sessions performance, which arguably maintains a bit more in-the-moment fast-paced energy. But this one is balanced and pristine – the perfect, grungy-yet-polished final cut we’ve been waiting for since we first heard Darlingside’s arrangement of this Smashing Pumpkins tune raw and barely rehearsed in the fields of Falcon Ridge, where we first discovered the band, perhaps the perfect ambassadors for what well may be the newest branch of folk. Subscribe to Under The Apple Tree for more strong video coverage, too, including a potent full-band posthumous cover of Tom Petty’s Free Fallin’ from Robert Vincent, a slow and gorgeous three-part harmony take on Dolly Parton’s Jolene, and a beautiful live take on Dire Straits tune Brothers In Arms from Xander & the Peace Pirates which almost, almost, took the place of the above. Though they’re more an acoustic rock band than a folk act, the cheerful, playful work of Hawaiian video project Walk Off The Earth, whose work is almost always designed to be seen as much as heard, has thrilled us before – see, for example, their lovely cardboard video for Malvina Reynolds song Little Boxes, which we raved about five years ago, and last year’s sunny version of The Chainsmokers’ Closer. This year, tightly choreographed, highly percussive and energetic performances continued to be the norm, and along with a campfire tribute to Tom Petty, this Ed Sheeran earworm is one of their best. With over twelve million views on YouTube already, you’ve probably heard it before – but it’s catchy, gleeful, and worth hearing again. We featured LA busker and bar-singer Katie Ferrara back in July, celebrating her “convertible-top-down folk-pop powerhouse” EP with “a well-produced, subtly sensational, and eminently summery doozy of a Creedence cover” that matched in-studio recording shots with dreamy images and video from a recent flight from Miami. But there’s something lovely and intimate about Ferrara’s new Lemon Cat cover sessions, appropriately filmed against a yellow background, and all from December. Click through for more, including an electric take on Bob Marley’s Turn Your Lights Down Low, and – as if to justify our late entry into the universe of 2017 – her sultry version of Aerosmith’s Crazy. Like a few others on this year’s Best Videos list, we shared this cut first via our Facebook page – in this case, way back in February, along with another of Jeffrey Foucault’s political covers, originally by Danny O’Keefe by way of Chris Smither, which seems to exist only on the etherial social space, and thus confounds our ability to embed it here. But these stark, faceless, sepia-toned videos from the current champion of dustbowl despair ache with angst and anger, offering perfect settings for the songs themselves. They still haunt us, and they should. A slow-release February-into-March mostly-covers session with his father Ted playing alongside him converted us, instantly, into fans of the soulful Marc Broussard – and sent us scrambling to collect the entire set, including their takes on Do Right Woman, Do Right Man, Loggins and Messina classic House at Pooh Corner, and a slam-dunk version of Somewhere Over The Rainbow dedicated to a very special lost soul. Simple yet nuanced, this bluesfolk is bare and bare-bones, as it should be….and should Broussard decide, after all, to record a for-charity children’s lullaby album, we’ll be one of the first in line to help push it into the world. It’s dark, and cavernous – like the deserted warehouse in which it was filmed – and maybe that’s the point. And it’s a loop cover – which, for the uninitiated, means it’s built live from the ground up, just one man and a solo guitar, and a set of pedals to control it all. For all these reasons and more, this December-filmed, February-released Steve Miller cover from West Virginia songwriter Rus Reppert absolutely, positively belongs here on our Best Videos collection; strip the visuals, and you’d lose both the darkness and the intimate immediacy of it all. Follow the threads, too, to Candyrat Records, which is chock full of utterly stunning live acoustic fingerstyle covers and originals, most without lyrics. We made some wonderful new discoveries and a host of great memories at Falcon Ridge Folk Festival this year, but it was hard not to love Upstate Rubdown, a down-to-earth all-acoustic “big band” from New York’s Hudson Valley region whose music fuses folk, roots, funk, swing, and more, and every performance is a party and a half. We named this video one of our Year’s Best the moment we found it, and we don’t regret the early call one bit. This bass-and-vox cover from indiefolk supergroup I’m With Her, recorded live on their American Acoustic tour over the summer, was released “on all streaming/downloading apps” as a benefit recording for Thistle Farms, a Nashville-based nonprofit that heals, empowers and employs survivors of trafficking, prostitution and addiction. Switch out the video, though, and you’d miss both the intimacy of the performance, and the way the high, stark contrast of black dresses and blond wood stage reflects this every-note-counts homage to Adele. A transformed Dylan tune filmed and recorded live mid-year by way of introduction to old friends (and now married couple) Chuck and Mira’s newly expanded foursome, still playing under the The Sea, The Sea moniker. A tight, controlled percussive sound and lush vocals that nonetheless retain the careful and sparse arrangements typical of their performance. After this fishbowl fantasy – and a lovely tree-side Concert Window session of holiday songs and carols that filled our own living room the night we brought our own tree home – we’re looking to have them back to our Unity House Series as soon as we can find a date. Always ad-free and artist-centric, Cover Lay Down has been digging deep at the ethnographic intersection of folkways and coversong since 2007 thanks to the support of artists, labels, promoters, and YOU. So do your part: listen, love, like, and above all, purchase the music, the better to keep it alive. And if, in the end, you’ve got goodwill to spare, and want to help keep the music flowing? Please, consider a year’s end contribution to Cover Lay Down. All gifts go directly to bandwidth and server costs; all donors receive undying praise, and a special blogger-curated gift mixtape of well-loved but otherwise unshared covers from 2016-2017, including exclusive live covers from our very own Unity House Concert series. Donovan, The Beatles, Gram Parsons, Woody Guthrie and Paul Simon! Born of an exercise in archival data-mining, our Double Dippers feature series finds us focusing on artists who pay tribute to favorite songwriters through coverage twice over, in two distinct phases of their careers. Our interest, as always, is in the ethnographic lens on craft and culture: if covers serve as artifacts that expose the substance of artistic evolution, then the return to a common songbook is especially illuminating, both as an exploration of maturity and experimentation, and in the way it reinforces an individual artist’s claim to a particular musical lineage or heritage. Previously, we took the analytical approach to paired homage from Mark Erelli, Richard Shindell, Amos Lee, Lucy Kaplansky, and Old Crow Medicine Show (Vol. 1), and an all-female cast of Kasey Chambers, Shawn Colvin, Ani DiFranco, the Indigo Girls, and Red Molly (Vol. 2), as they explored the works of their peers and progenitors. Today, we continue our dig into how songs and songwriters are shaped by song and soundscapes with double-dip coverage from Rickie Lee Jones, Billy Bragg, Evan Dando, and Crooked Still alumni Aoife O’Donovan and Tristan Clarridge. Rickie Lee Jones has reinvented herself several times in a long and storied career, with tours through R&B, pop, and jazz standards along the way. But the difference has never been so vast, nor so starkly presented as it is when comparing her covers of sixties folk icon Donovan. Jones’ chipper retro-coustic folkpop take on Sunshine Superman, recorded for the hip mid-nineties television show Party Of Five, bounces with the sheer joy of its reconsidered era; her more recent effort, from the Ben Harper-produced triumph The Devil You Know, a hushed, stripped and solo album we celebrated in our 2012 year’s end review, is haunted, raw, ragged and slow, a broken whisper with timeless fragility. Long before Woody Guthrie’s sister and executor tapped him to join up with Wilco for the Grammy-winning Mermaid Avenue project, Billy Bragg was already a workingman’s folksinger, with a canon and craft that owe as much to the pre-revival labor movement folkbranches as they do to the post-punk political songbooks of The Clash and The Smiths (both of whom he’s also covered on studio releases). Though his work with the Guthrie notebooks on the Mermaid Avenue sessions is more posthumous collaboration than an incidence of coverage, Bragg has covered his anti-establishment tribal progenitor several times in the studio. These two tracks, recorded a quarter century apart, are quite representative: almost three decades of production dynamics distinguish the pair, and Bragg’s weariness seems to have become a driver of rhythm in the intervening years, but the bare-bones approach common to both songs, and the political nature of each, reveal nothing so much as how true Bragg’s colors really run. I’ve got Aoife O’Donovan on the brain this week, thanks to an upcoming set on Friday, August 1st at the best little folk festival in the American Northeast; I’ve never seen her live in solo mode, but like so many others, I’ve been in love with that gorgeous voice for years. Aoife O’Donovan’s cover of Paul Simon’s Hearts and Bones is a sweet bootleg piano ballad from her school days, originally released on MySpace, but it’s a great early showpiece for her particular talent, with hints of all the power that she would refine and reveal in her decade with Crooked Still; American Tune, from Crooked Still’s 2011 swansong EP Friends of Fall, shows the rich fruits of her journey: nuanced, etherial, and free, with mastery in spades. As a bonus, since technically, it’s not his own voice, but the instrument that most closely approximates the male voice, which he brings to the table: Though founders and frontpersons Aoife O’Donovan and Greg Liszt generally get the lion’s share of recognition for their seminal work with Crooked Still, cellist Tristan Clarridge, who was with the band for several years before they declared an official hiatus in 2011, has arranged and covered The Beatles songbook twice over, too: on that same Friends of Fall album, and with his neo-traditional string-and-dulcimer trio The Bee Eaters, who recorded this slow-burning gem on their 2009 self-titled album. Always ad-free and artist-friendly, Cover Lay Down shares new songsets and ethnographic musings throughout the year thanks to the kind support of readers like you. Want to help? Ensure the continued creation of music by purchasing artists’ work whenever possible. Spread the word to friends and family by joining our Facebook page and clicking “like” on a favorite post. 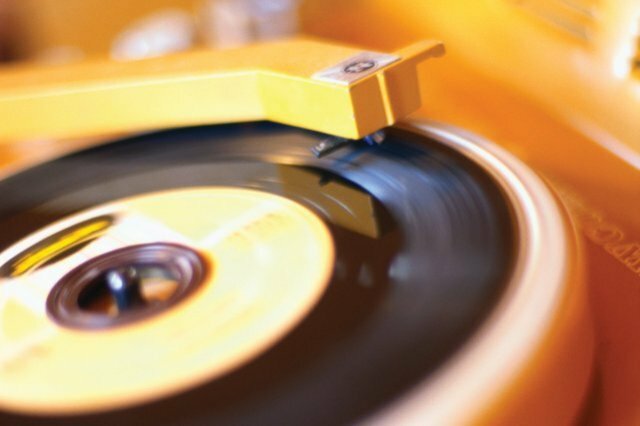 Share the sounds by sending us your own coverfolk finds and recordings. Donate to Cover Lay Down to help defray server and bandwidth costs. with Aoife O’Donovan, Roosevelt Dime, Darlingside, The Duhks & more! This year marks our twentieth consecutive year at Falcon Ridge Folk Festival, and although we go as much for the community as the music these days, it is a sign of the festival’s continued success in presenting a stellar, diverse line-up that even as my wife works on airing out the camper, I find myself eagerly compiling a list of don’t-miss acts – and finding plenty of fodder for it. But every year is something special at Falcon Ridge, and this year promises to be a gold mine. Today, then, a short set of updates from some past favorites coming to Dodd’s Farm for summer 2014; if we’ve done our job well, you’ll be itching to join us in the fields on Hillsdale, NY the first weekend in August to see these don’t-miss artists plus John Gorka, Cheryl Wheeler, Christine Lavin, Brother Sun, Spuyten Duyvil, Tom Paxton, The Boxcar Lillies, Connor Garvey, Tracey Grammer and more. We tracked Crooked Still carefully throughout the long life of this blog, and noted their move towards solo and other projects recently as this 2011 feature on the band’s first decade – but bookmarking such gems as the utterly beautiful 2011 solo take on a Richard Thompson classic below left an ache for founder, bandleader, and driving force Aoife O’Donovan, and we’re thrilled to find her on the performer’s list. Indeed, even as her sweet, airy voice finds itself in collaboration with the likes of Chris Thile, Noam Pikelny, Kate Rusby, Elizabeth Mitchell, Sam Amidon, and other favorite artists over the past few years, I’ve been dying to see Aoife live and solo, and probably longer than most; her long-awaited debut album Fossils, which dropped this past year, has been duly feted as a tour de force, but we’ve been fans of that breathy voice since our inception. If her appearance on Prairie Home Companion back in January is any indication, this it-girl of the neo-traditional movement is going to be the belle of the fest; I’ll see you in the front row. We fell in love with Roosevelt Dime‘s acoustic jug band steamboat soul way back in 2009, thanks to a beautiful Americana-style single-shot Radiohead cover on their debut album Crooked Roots. Since then, we’ve followed their progress closely, and become close; we were thrilled to host the band overnight for a campsite jam last summer on site at Falcon Ridge, and honored to have the chance to present the very first public performance for Goodnight Moonshine, string-player and singer Eben Pariser’s side project with Red Molly member Molly Ventner. The new year brings some changes to Roosevelt Dime – a slight shift in line-up, a featured Most Wanted set at the upcoming Falcon Ridge Folk Festival after winning last year’s Emerging Artist Showcase, and a fuller, more polished sound courtesy of Full Head of Steam, a jazzy, toe-tapping March release that sticks in the feet and the ears. Boston area folks interested in a week-before-the-fest teaser should snag tickets now for the band’s Club Passim show July 25th in support of Full Head of Steam; attendees will receive a free copy of the album, which is a serious bonus. Three traditional tracks from the album bring the funk for now. Like Roosevelt Dime, Darlingside will be all over Falcon Ridge this year; Most Wanted artists are scheduled for multiple song workshops in collaboration with other artists; some of the very best collaborations I have ever seen take place at the open-air workshop tent. Regular readers may remember that this band wowed us at the Lounge Stage, the all-day Thursday artist-run festival-within-a-festival that Falcon Ridge has taken under its wing, with an amazing acoustic take on Smashing Pumpkins hit 1979; since then, their recent cover of Joni Mitchell-slash-CSNY Woodstock, with local darling Heather Maloney, made the New York Times, bringing fame and hopefully some modicum of momentum to the eclectic folkpop band. Of course, Darlingside has been around for a while yet, and as with many new favorites, a dig into the archives can be fruitful, indeed. I found this older video cover searching for coverage from this year’s emerging artists; Caitlin Canty, who also tours with Jefferey Foucault and will be one of the 20 acts in this year’s Friday afternoon showcase, is the real deal. Wherever psychedelic jamband meets mythological folk rock, The Grand Slambovians (aka The Slambovian Circus of Dreams) hold sway, and for good reason: their late night Falcon Ridge mainstage sets are the world’s best summer party under the stars; their dance tent sets are legendary roof-raisers, their at-bats under the summer sun each year at the Beatles cover workshop are always a sing-along treat; their 2007 cover of Peace Train with Dar Williams and John Gorka remains one of our favorite Falcon Ridge moments. The music video for crowd favorite Alice in Space they made on-site last year, released this March to much fanfare, offers a glimpse into the madness; if you look closely, you can catch me in the crowd shots, bouncing around with abandon. This gentle, languid electro-folk Leonard Cohen cover comes from the same set, but even their tender side is part of the ride: don’t bother bringing a chair to your own trip to Slambovia – just a glowstick suit, plenty of water, and all the energy you can muster. I actually blogged about The Duhks before this blog was born, listing their cover of Tracy Chapman’s Mountains of Things as one of my favorite songs of 2006 here in the waning days of the prep school existence, and returning for a comprehensive look at their first half decade in a 2008 feature (The Duhks cover Sting, Tracey Chapman, Gillian Welch et. al). Now, several line-up changes and 13 years since their inception, the eclectic acadian-creole folkrock collective from Winnipeg emerges from a two-year recording hiatus still at the top of their game, hitting “the Ridge” on the strength of a crisp, bright, and totally rockin’ new album produced by CLD faves Mike & Ruthy, with title cut and a traditional number below. Bring on the joyful noise. 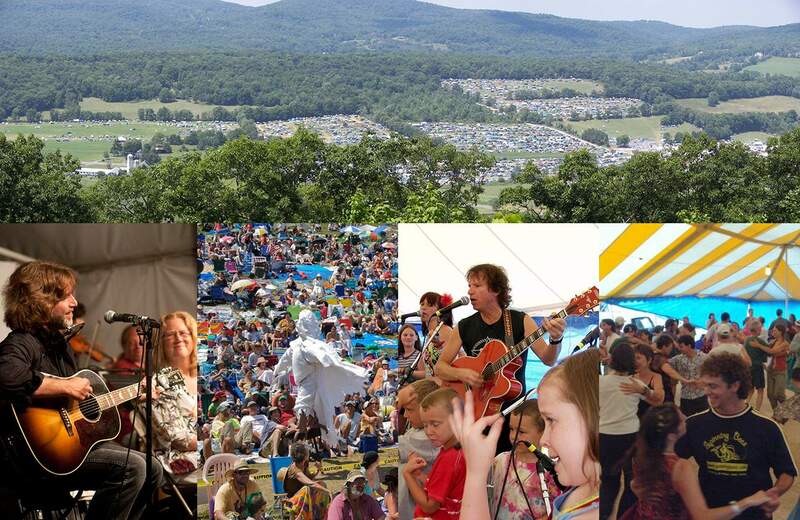 Ready to join us August 1-3 at the Falcon Ridge Folk Festival? Head over to their website for more, including tickets, a complete line-up, vendor list and site map!